Ah…. Italy….just the name conjures up thoughts of the world’s greatest works of art, architecture, fashion and gastronomy. Italy thrill and inspires like no other. For business travelers, the country has a variety of conference venues, networking events, five-star hotels, and superlative restaurants across many landscapes. Events and venues can be found across the country including the Alps in the north, the beaches across the coastline, near volcanoes and If you have some time, don’t miss the famous attractions that include the Colosseum, the Pantheon, Trevi Fountain, Piazza Navona and the Spanish Steps in the capital Rome, the Vatican, the learning tower of Pisa, Pompeii, Venice, Lake Como, Lake Guarda and the Amalfi Coast. Whilst the north of Italy has a faster pace and likes to get on with the business in hand, in the south a more leisurely approach is employed as they like to know the person they are doing business, so with small talk viewed as an essential element of doing business. Italy ranks as the 12th largest overall inbound market to the United States and the 4th in Europe after the U.K., Germany and France. Business travel accounts for 19.4% of trips to the country. Italy has one of the largest economies in Europe and is a founding member of the EU, OECD, G7, G20, NATO and the World Trade Organization (WTO). In Italy it’s important that the invoice indicates the full details of the company, including full name and address. Modification to an invoice will likely not be possible. 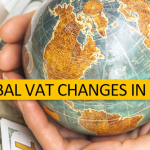 For the complete story on recovering VAT in Italy and other EU countries, download our eBook. Like our FB page and follow us on LinkedIn for news and updates!